Coursera is privileged to host an incredibly diverse community of students, from all represented countries in the world, who come together to learn about subjects ranging from Computer Science to Roman History to Social Psychology. With 40% of our students coming from developing countries, we feel strongly about the potential to promote international development through educational opportunities on Coursera. Today we’re excited to share the news that we have partnered with The World Bank to offer a selection of their courses on development and poverty alleviation. This partnership, which is part of The World Bank’s new Open Learning Campus initiative, aims to give policymakers, on-the-ground practitioners and other interested parties access to valuable, practical knowledge on development strategies and challenges. 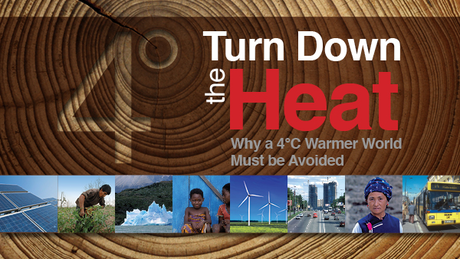 The partnership will kick off with ‘Turn Down the Heat: Why a 4°C Warmer World Must be Avoided,” a course that covers the increasingly visible issue of climate change and its various effects on the world we live in. Additional courses to follow will focus on other pressing global issues impacting international development. Together with the World Bank Group, we hope to democratize access to knowledge critical for global development and poverty alleviation, while exploring the possibilities of using technology to address challenges in developing countries. More information about the courses to be offered will be available in the coming weeks. We hope that many of you will sign up to join the conversation and share knowledge from your own countries and personal experiences! Enroll in World Bank Course!